I thought I would start a build thread for my latest Jazz. 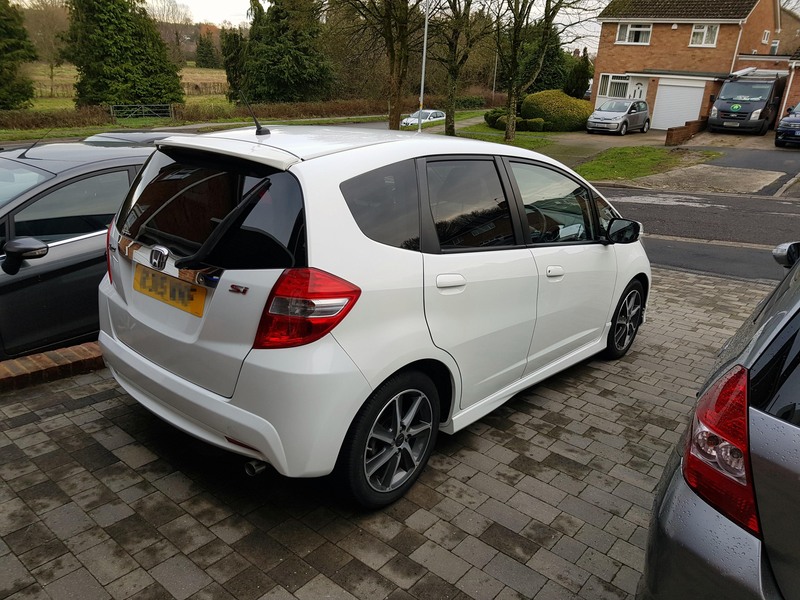 I took a HUGE gamble and bought the Jazz at a Salvage Car Auction, and let's just say there have been a lot more problems with it than I was hoping for! Here's the car in it's current state. And before anyone points it out, yes the rear bumper is the wrong bumper! 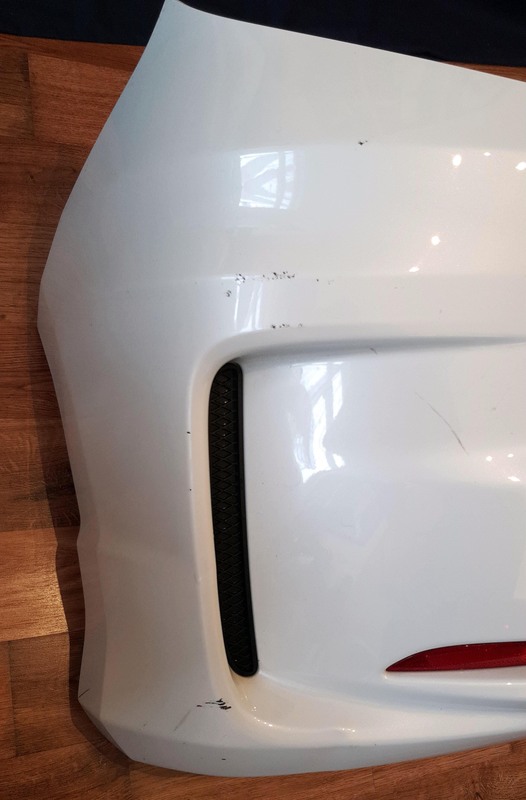 The previous owner who "attempted" to repair it, put on the wrong rear bumper (and tailgate for that matter) . I'm waiting for the correct bumper to arrive in the post. 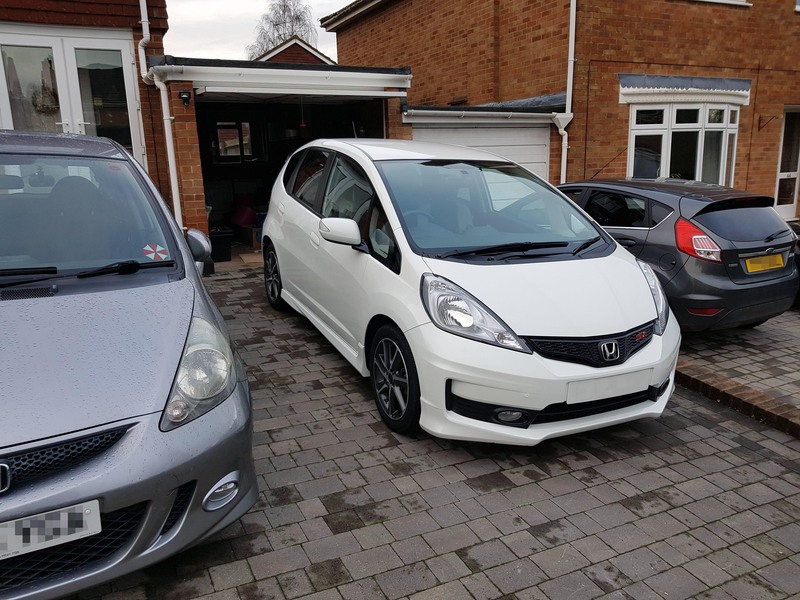 Next to it is my current 2006 Jazz Sport, which I will be selling over the next few months. 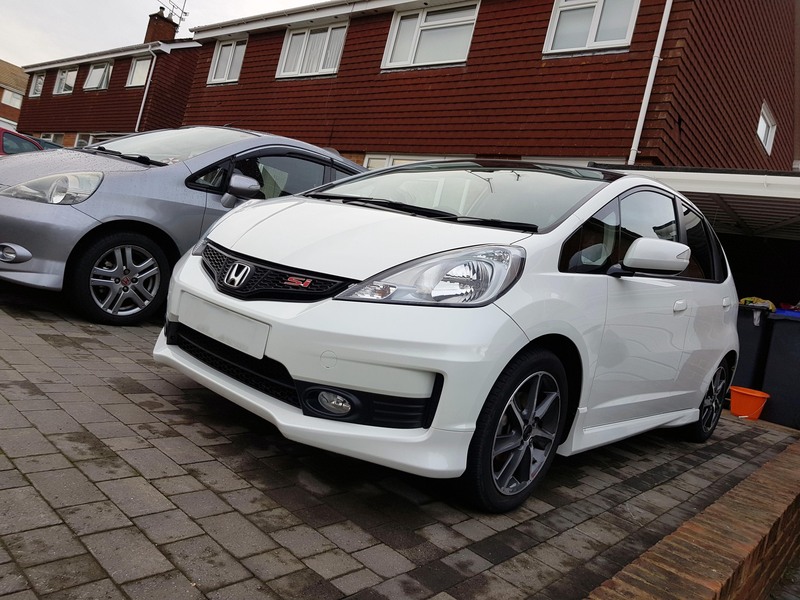 Paint the Callipers White with Black Honda decals. Sound deadening on the inside for a quieter ride. 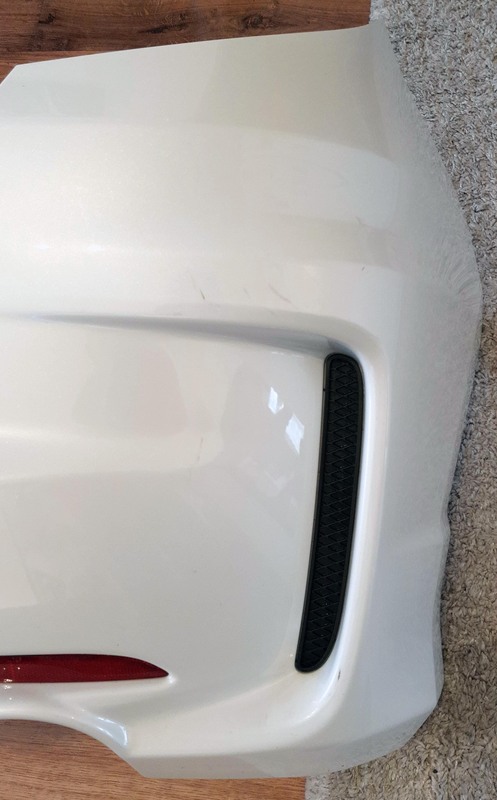 Try and get hold of a USDM/JDM Sport boot spoiler. 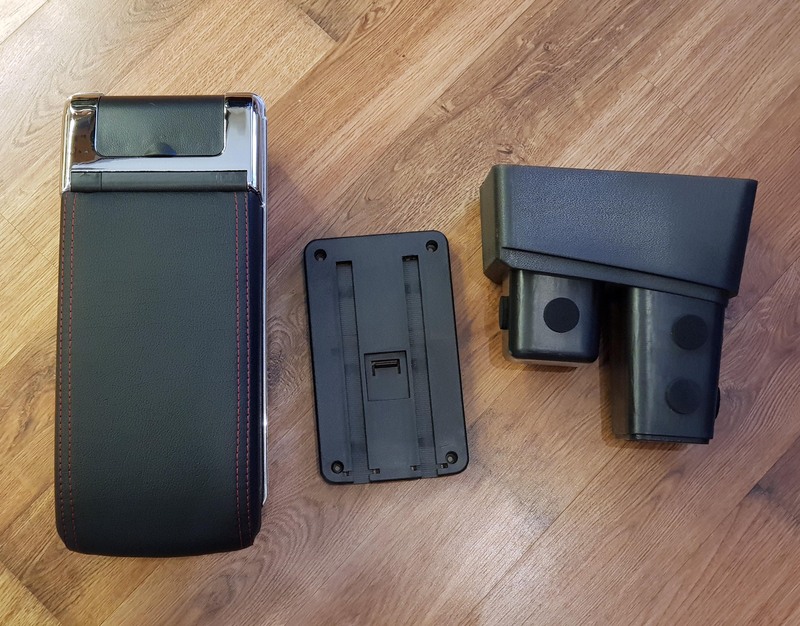 Possibly carbon wrap the chrome boot surround. Might lower it on Eibach springs, but we shall see about that. 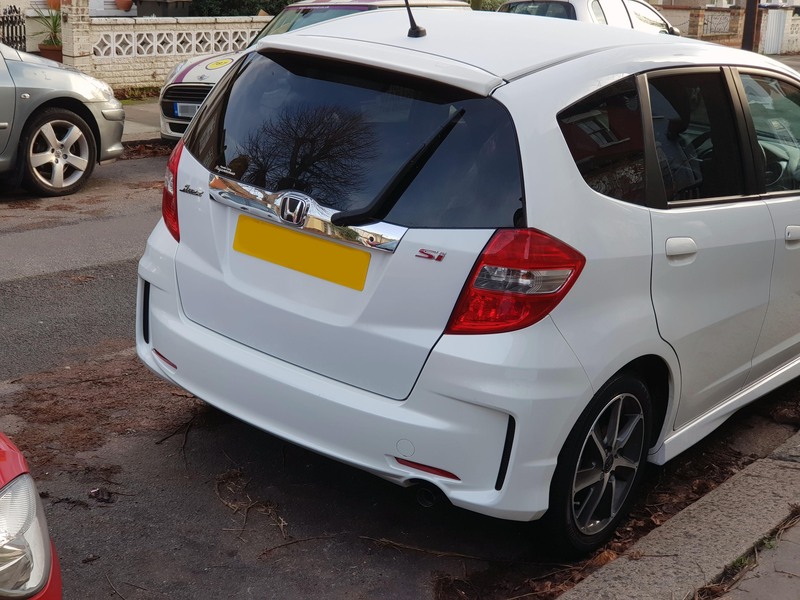 I agree the rear bumper in the wrong one but the wrong tailgate, I would be very surprised the Jazz Si would have a different tailgate to the other models of the same shape. Sorry, I should have elaborated! The tailgate that the previous owner used to "fix" the Jazz is from a JDM import Fit Hybrid. It had the wrong wiring loom and locking mechanism, which meant the boot didn't work. So I had to buy the correct wiring loom and locking mechanism. Also the colour is not the same. 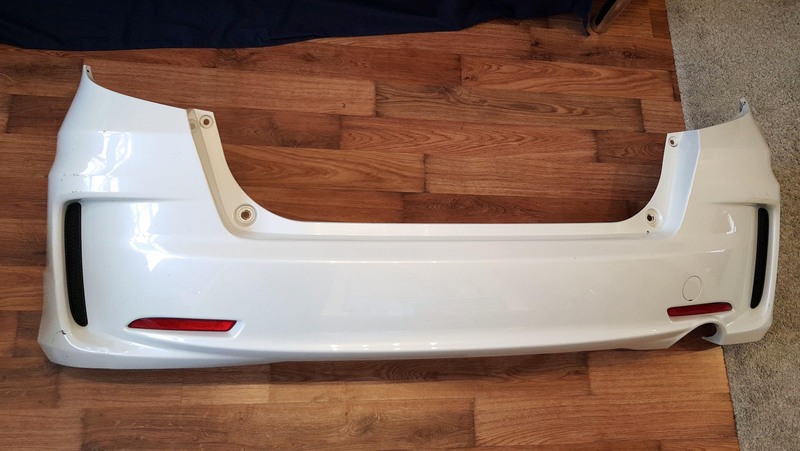 They resprayed the outer boot lid the correct colour (even though it's still slightly off colour), but inside it's a cream white, as well as the spoiler is the wrong white. Plus the Si didn't have the chrome boot surround. The chrome version comes with the Hybrid. I could remove it and purchase a black one if I wanted to. I'm in two minds about the chrome, it looks alright. Arm rest arrived from China, took less than two weeks, which is pretty good. Quality is alright, but for £35, I can't really complain. 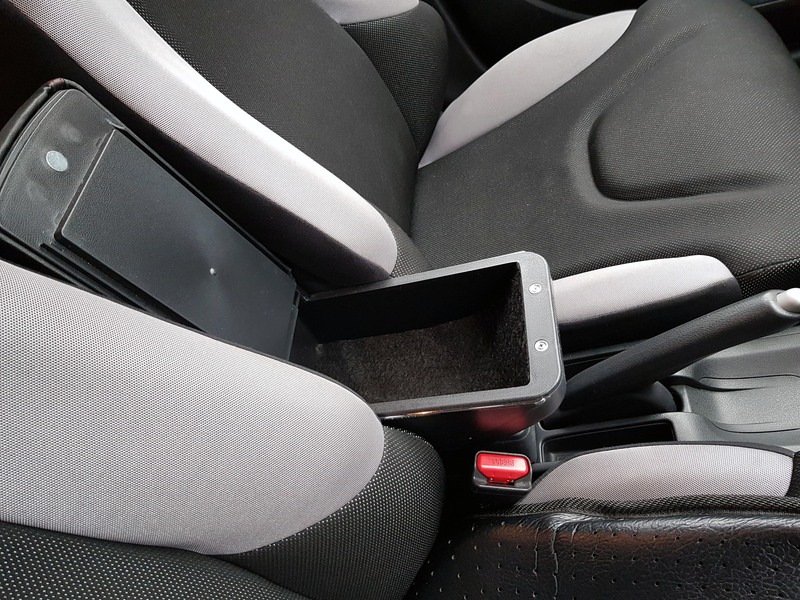 The Fitting is really easy, and I like the fact that you don't have to screw into the centre console to fit it, leaving the plastic undamaged if you wanted to remove it at a later date. 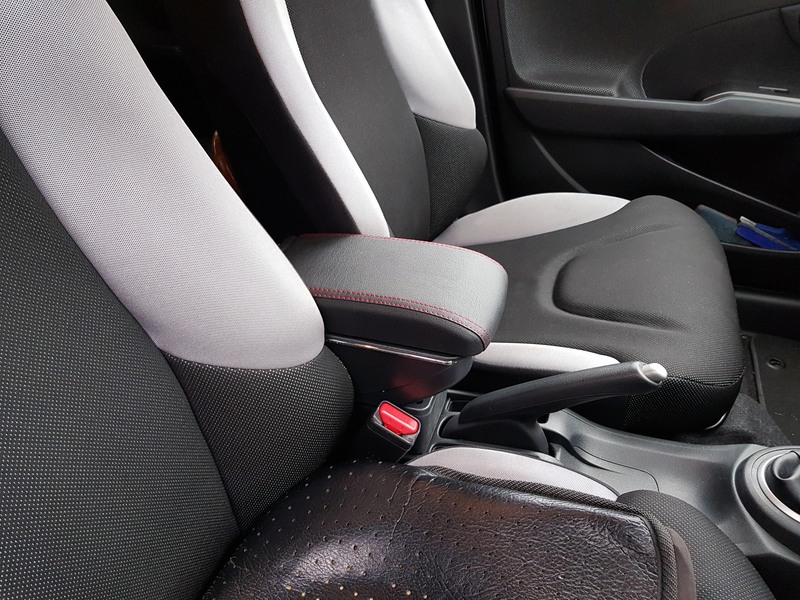 It's a bit snug between the two seats. I would've preferred it slightly slimmer. Some marks and scuffs on it, which will either buff out, or I can touch up with touch up paint, so I'm not too bothered. Test fitted the bumper, and it's perfect ! There again the Civic ones are much better designed. The rear bumper looks spot on, you were fortunate in finding another one in correct white & in good nick. Great, I'm glad to hear it! One piece of advice, don't over tighten the screws into the plastic, I did and it split the plastic slightly, so I made sure the other 3 were just comfortably tight. Thanks, yes I was really fortunate! It came all the way from Scotland! I've finished using the touch up paint on it, I'm just waiting the 48 hours for the clear coat to cure before I can polish it and then get it fitted to the car! I love those front seats on the Si. Been trying to get some from breakers and eBay. But £200 each is a lot of money. Good luck with the car, it looks really nice in White! Think I may have said this before on another thread but the SI looks a lot prettier (in a good way!) than the other Mk2 models. The styling touches make it look a different car somehow. 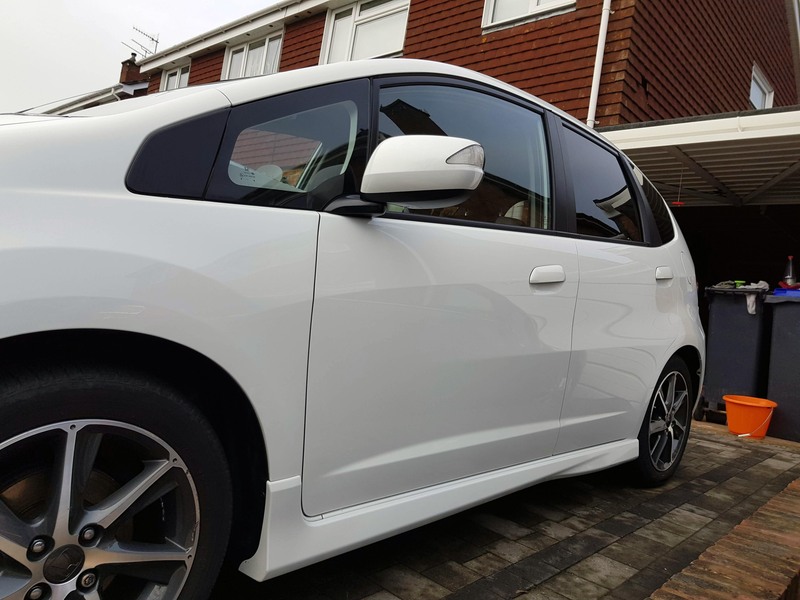 Took off the standard 16" 185/55 wheels of her indoors Jazz Si and fitted some 15" with 175/65 Avons - the ride is definitely better, and handling not noticeably any worse ( especially the speeds she drives at, I drive it a bit faster). Mytyres website has a neat function where you can show the different wheels on the car and spin it 360 degrees, also change the colour of the car, I showed her indoors what her car would look like with different wheels ( she wanted the higher profile summer tyres after finding the ride on her 175/65R15 Nokians more to her liking than the harsh 185/55R16 tyres she had). Yeah they are really nice for Jazz seats. They're probably £200 each because of the Airbag. Thanks! I've always wanted to own a white car since I was a late teen and being involved in the car scene and seeing white EK9's and DC2s at car meets ! I think for once, the UK has got the better looking Jazz than the US. 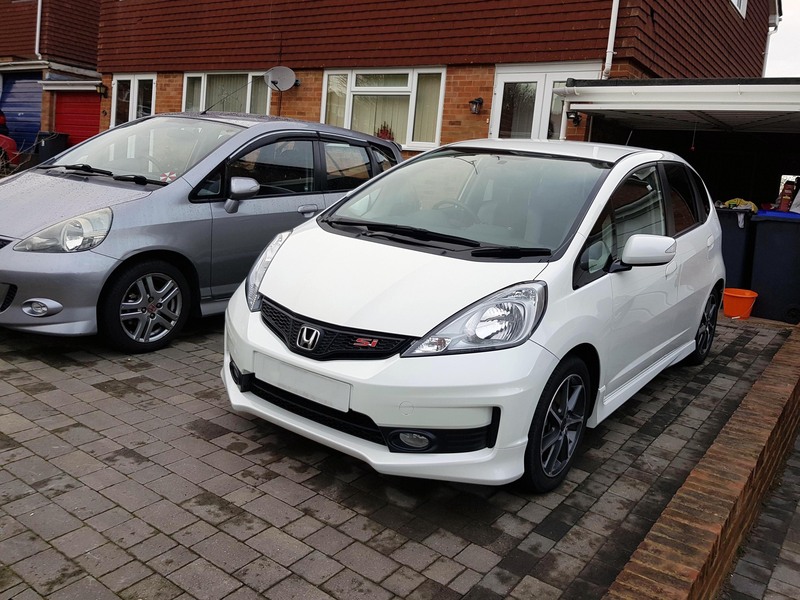 The Si is basically the Asian RS model, so it's nice to see Honda releasing a sportier Jazz in the UK. Though they really should've included the RS spoiler as well, but I'm just grateful that we got the Si in the first place!